Coloured this Magnolia Tilda tiny stamp with Faber Castell water colour pencil using only red and black. Pop up the image with foam tape on a punch out round red card stock before adhere to another punch out circle scallop white card stock. 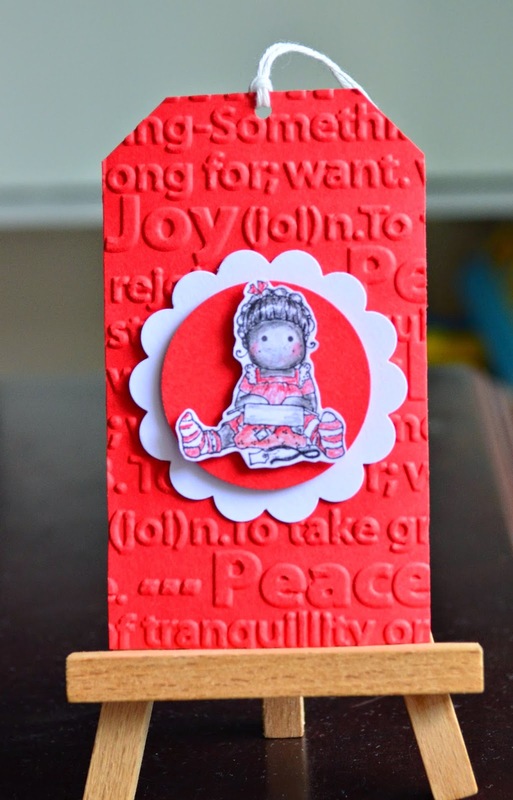 I embossed the tag with Sizzix Winter Words embossing folder. Love your tag. Your colouring and colour choice is fabulous. How delightful to be the receiver of this on a gift. Thank you for joining us this month at Bizzy Becs.